Who knew they made brand name luxury rubber duckies? Not me. Skinny jeans. I feel your struggle, Shan Shan. It looks like Zheng Qi and Feng Teng are both making their moves now. Shan Shan’s going to have to pick between the guy who is sweet and caring towards her versus the other one who is always giving her the cold shoulder. C’mon guys, you aren’t exactly making this choice difficult for her…for now, at least. Since the weather is all cold and snowing now, Feng Teng is missing his daily lunch meetings with Shan Shan…not that she knew that those were happening. So, he calls Zheng Qi up to his office to casually bring up the fact that he’s been looking over the employee usage rate for one of Windgroup’s apps that helps keep track of finances and spending habits. Zheng Qi is immediately suspicious and asks him why he’s suddenly so interested in this. Feng Teng doesn’t give him a straight answer, but Zheng Qi is smart enough to know what’s up. Zheng Qi gathers up the info on which employees are not using the app enough, and finds Shan Shan’s name on the list. He tells his secretary to bring Shan Shan to his office to ask her about the app. When she gets the message that Zheng Qi is looking for her, she gets all giddy and thinks that he likes her and wants to spend more time with her. When she gets to his office and finds out that he just wants to know why she doesn’t use the app, she’s worried that she’s going to be in trouble. Skipping to Zheng Qi’s office. In the meantime, Feng Teng sees the second lunchbox still on his secretary’s desk and asks why it hasn’t been delivered to Shan Shan yet. She tells him that Shan Shan doesn’t have time to eat lunch today because she’s in a meeting with Zheng Qi. Hearing this, Feng Teng decides to make a little trip downstairs to spy on their meeting. Someone’s jealous already! Shan Shan is trying to explain to Zheng Qi why she doesn’t use that Windgroup app more often. Her excuse is that she’s new to Shanghai and doesn’t go out much. And since she isn’t out spending money, her spending ability must show up as super low on the app. Zheng Qi appreciates her honesty and tells her not to worry so much. He’s only asking her all these questions because he wants to improve on the app. Feng Teng is still eavesdropping on them this whole time, and overhears Shan Shan and Zheng Qi talking about how she saw them playing basketball near her house. Zheng Qi leans in real close to Shan Shan, and tells her to keep that a secret between the two of them because Feng Teng doesn’t like people seeing that casual side of him. She gets all flustered and promises to not tell anyone. While Shan Shan (and I) are swooning over Zheng Qi, Feng Teng sees this and is totally jealous. Later at the bball court, Zheng Qi teases Feng Teng about how he and Shan Shan chatted for a long time today. When Feng Teng pretends to not care, Zheng Qi blatantly asks him if he likes Shan Shan. Feng Teng dodges the question, and doesn’t really say anything. Zheng Qi doesn’t drop the subject and keeps pointing out all the great things about Shan Shan. Feng Teng asks him why he doesn’t like her then if she’s as great as he’s making her out to be. Zheng Qi responds with, “Did I say that I didn’t like her?” Ooohhh. Zheng Qi finally stops teasing Feng Teng and says that he will give him Shan Shan if he really likes her that much. Feng Teng says that its not up to them who she goes to, and that if he really wanted Shan Shan, he wouldn’t need Zheng Qi to retreat. Since Feng Teng is still not giving him a definitive answer on whether or not he likes Shan Shan, Zheng Qi announces that he’s going to pursue Shan Shan then. Feng Teng tries to not respond, but the worried look on his face is saying plenty. Wait! I do like her! Shan Shan finds a pimple the next day and her jeans are also getting too tight. She blames it on those free lunches for fattening her up. When yet another lunchbox shows up at her desk, she very politely asks Feng Teng’s secretary to stop bringing her lunch. The secretary tells her that it’s not up to her, and if that she really doesn’t want the lunches anymore, then she should tell it directly to Feng Teng. It doesn’t look like the free food is going to stop coming. 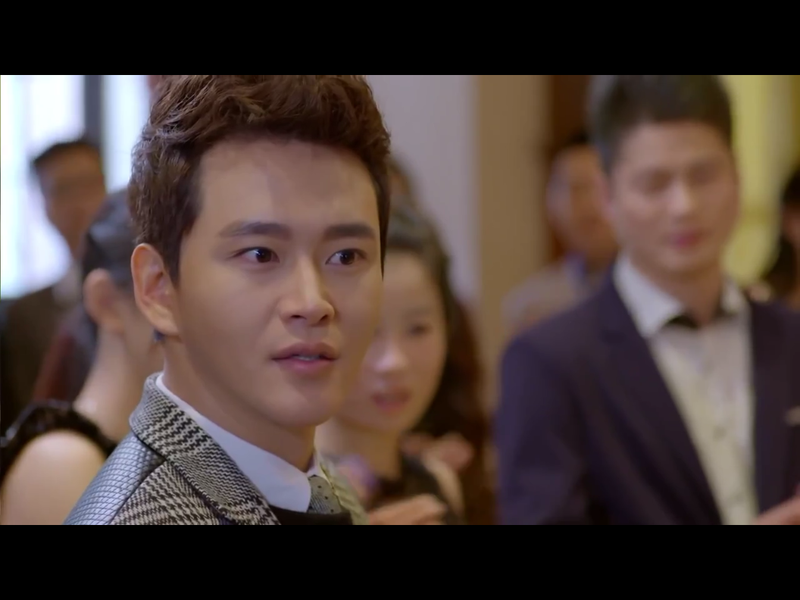 Zheng Qi brings the invite directly to Shan Shan’s office, and asks her to be his date for the party. She’s over the moon to be asked out by Zheng Qi and is floating on cloud nine. She buys an extremely expensive set of brand name luxury rubber duckies as a present for the baby. They were so pricey that now she’s totally broke. When Zheng Qi comes to pick her up for the party, Shan Shan is practically skipping and jumping for joy until she opens the door to the backseat of the car. Wasn’t expecting to see you here. Sitting in the backseat is none other than Feng Teng. 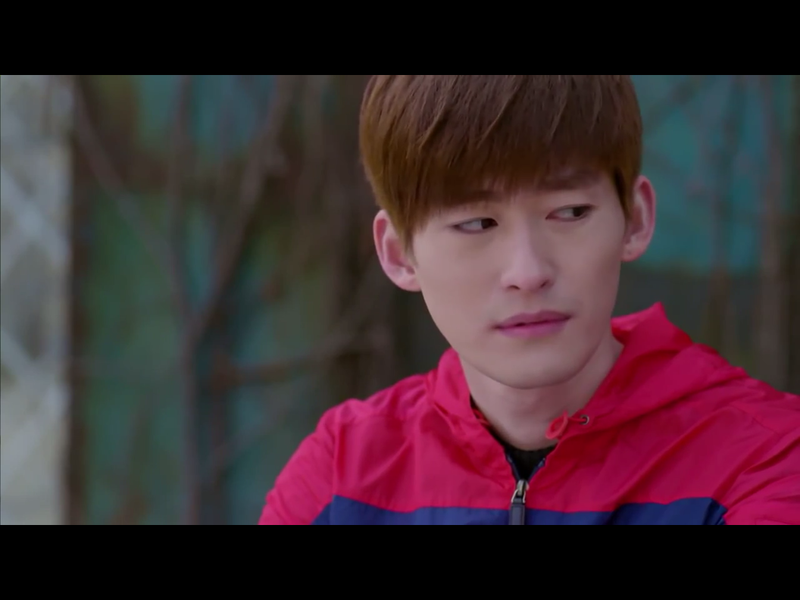 It turns out that when Zheng Qi was about to leave his house to pick up Shan Shan, Feng Teng calls him saying that he wants to discuss the app’s project proposal. When Zheng Qi tells him that he needs to pick up Shan Shan, Feng Teng very generously offers to pick up Shan Shan with him. I see what you did there, Feng Teng. Shan Shan is feeling super awkward to be in the car with her boss, so Zheng Qi breaks the ice by asking Shan Shan what she got for the baby. She shows them the rubber duckies, and of course Feng Teng has to act like he’s super unimpressed by them. But then when he’s looking at one of them, he accidentally squeezes it and causes it to make a noise, scaring him. Everybody laughed at him. Haha. At the party, Shan Shan finally meets Feng Yue and finds out that she was the one who organized the lunches to be sent to her. Feng Yue tells her how Feng Teng originally suggested just giving her a check as compensation, but she said that would be such a cold gesture and vetoed it. Shan Shan thinks to herself that she would have gladly accepted the “cold” check over the free food. She thanks Feng Yue for her kindness, but that she doesn’t need to continue sending her lunches. Feng Yue agrees to stop. Shan Shan has no one to talk to at the party because Zheng Qi is too busy socializing with the other guests to pay attention to her. While Shan Shan is sitting by herself, Feng Yue is trying to set up her brother with some of her friends at the party. Feng Teng rejects all of them, and instead asks someone to bring Shan Shan to him. He then tells Shan Shan to enter the dining room with him and to sit at the head table. Both Shan Shan and Feng Yue can’t believe what they’re hearing. 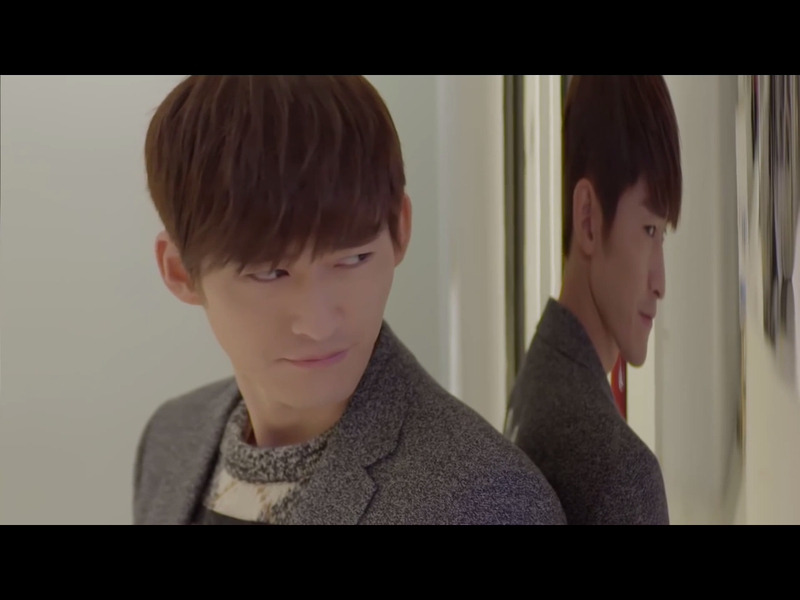 When Feng Teng and Shan Shan enter the dining room, he purposely walks by Zheng Qi to show off and make him see that his date is next to him. Shan Shan looks really reluctant to be walking with Feng Teng, and tries to get Zheng Qi’s attention so that he won’t think that this was her idea. But before she is able to say anything to Zheng Qi, Feng Teng quickly drags her away. Sitting at the head table, Shan Shan looks like she would rather be anywhere else but here. Uh oh, things aren’t looking good for you, Feng Teng. After her meeting with Zheng Qi about not using the Windgroup app enough, Shan Shan makes an extra effort to be more active on it. When her roommate asks her why she’s trying so hard, Shan Shan tells her that it’s because she’s trying to help Zheng Qi. Her roommate tells her to get her head out of the clouds and that there’s no way that he’s actually interested in her. Boy, she must have looked really dumb when she found out that Zheng Qi asked Shan Shan to be his date to the party.